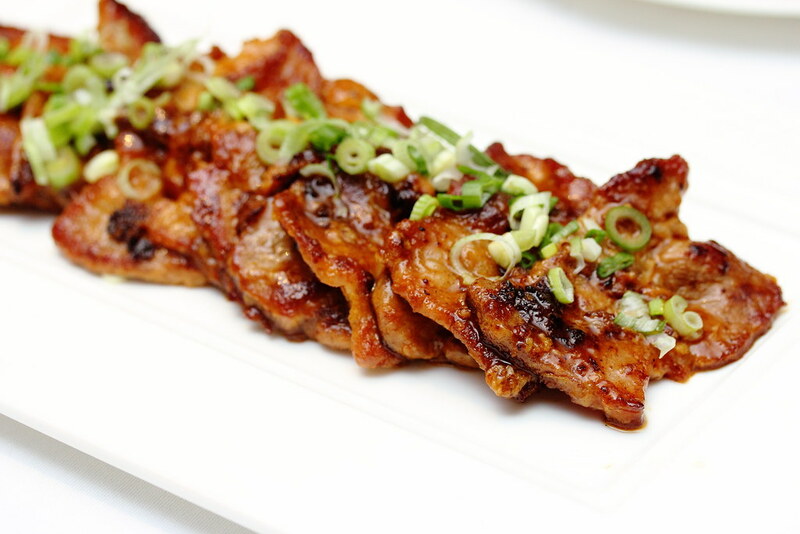 My recent visit to Summer Palace at Regent Hotel Singapore lead to the discovery of an uncommon gluten free menu in a Chinese restaurant. I was a bit skeptical that it would taste good but I was proven wrong after my dining companions decided to be adventurous and ordered a few dishes on the menu to try. The first item we noticed on the menu is the Baked Sliced Pumpkin ($12 per portion). 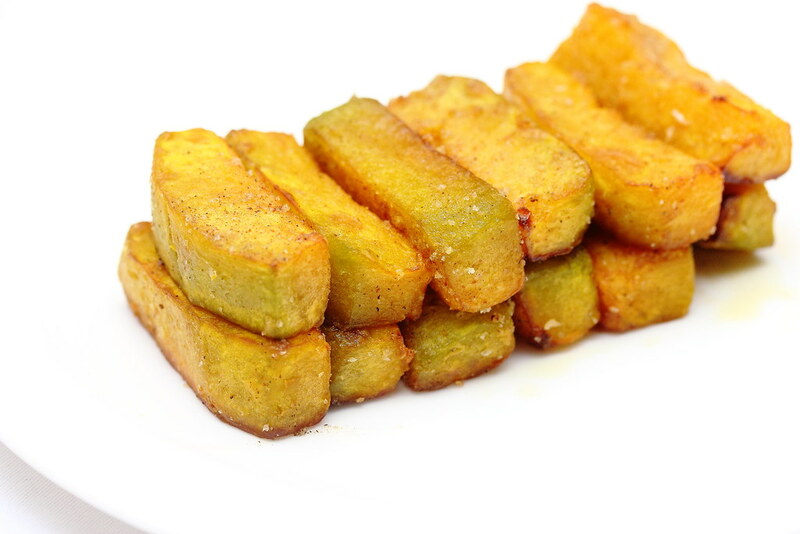 Comes in golden brown, the chef highlighted the natural sweetness of the ingredient while giving it a extra coat of crispiness. 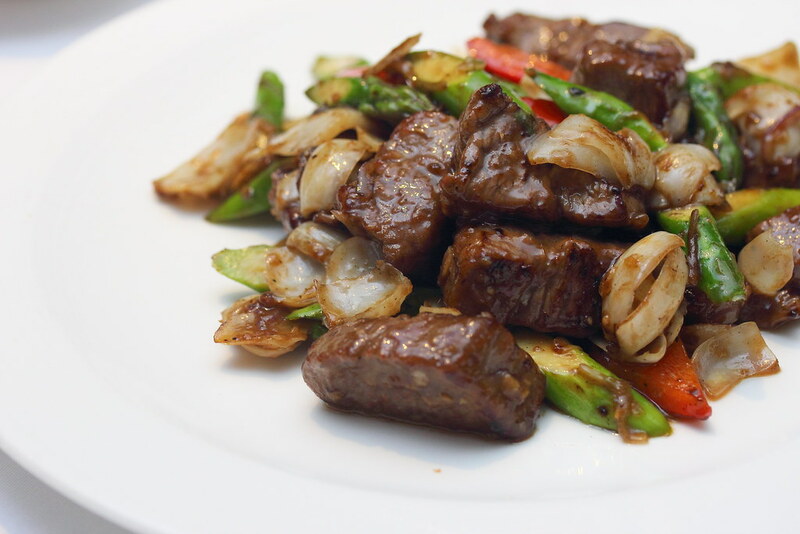 The Wok Fried Diced Beef ($42 per portion) is cooked with lily bulbs and asparagus. The tender beef is perfumed with aroma of the garlic and black pepper that enhanced the flavourfull meat. The lily bulbs and asparagus provided the extra crunch. A dish that I enjoyed very much was the Baked Cod Fish with Teriyaki Sauce ($22 per portion). 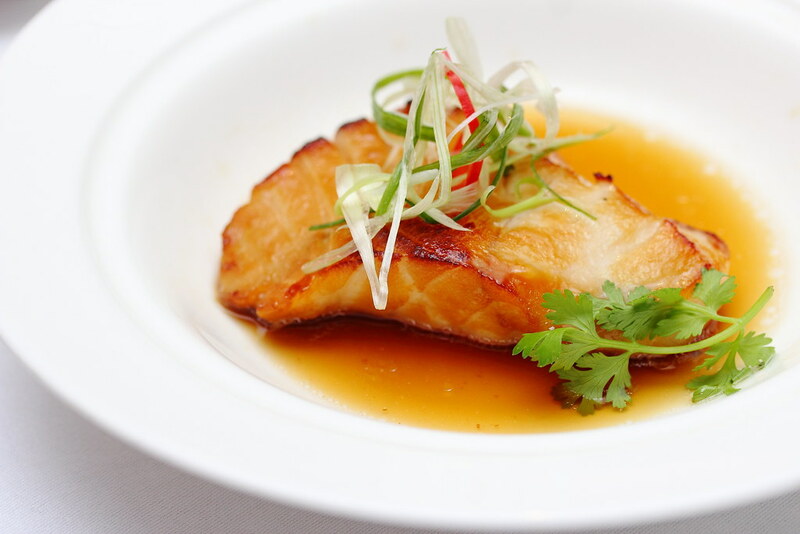 The moist and buttery cod fish was complemented beautifully by the teriyaki sauce. I have to admit that this single dish has totally changed my perspective of gluten free dishes. It can be very tasty too. The other dish I would highly recommend is the Pan Fried Kurobuta Cutlet ($32 per portion) cooked in mongolian sauce. My first bite into the cutlet drawn a confused thought in mind. Is this really pork? Why is it so juicy and tender. The excellent execution of the dish is probably the best version I have eaten so far. 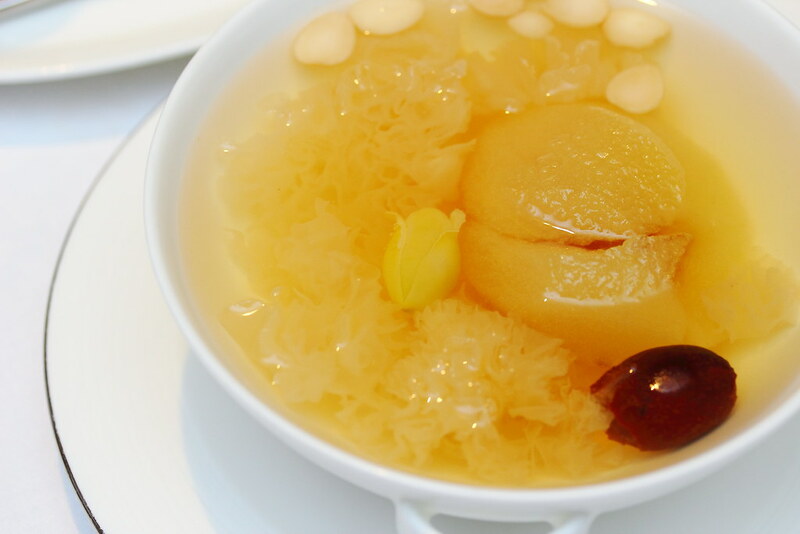 To complete the delicious gluten free meal, I had the Double Boiled Pear with Gingko Nuts. It comes with both cold and hot version. The light and refreshing dessert was a fitting and healthy note to end the dinner experience.